Justin Timberlake Archive - JT at XQ Live! You are here: Home / News / JT at XQ Live! The event will air live from Los Angeles on all four major U.S. networks – ABC, CBS, FOX and NBC – on Friday, Sept. 8 at 8:00-9:00 PM ET live/PT tape-delayed. The show will also stream live and be available on-demand on ABC, CBS, NBC, and FOX’s streaming platforms, as well as Hulu and YouTube. The telecast will also be available to stream in its entirety on Hulu the day after it is broadcast. In addition to Justin's appearance, Kelly Clarkson will perform a new song from her highly-anticipated forthcoming album. Kelsea Ballerini and Maren Morris will introduce country star Hunter Hayes, adding to the roster of musical performers including Jordan Fisher and Andra Day. Additionally, JAX, Ringo Starr, U2, Reggie Watts, and D'Wayne Wiggins will join the previously-announced star-studded finale performance led by Jennifer Hudson with Sheryl Crow, Max Weinberg, Yo-Yo Ma, MC Hammer, Jon Boogz and Sheila E. Five student winners of the Brave New Schools #RethinkHighSchool competition will also join the on-stage lineup. In September 2015, XQ: The Super School Project launched an open call to rethink and design the next American high school. Thousands of communities across the country have since come together to re-imagine high school education. 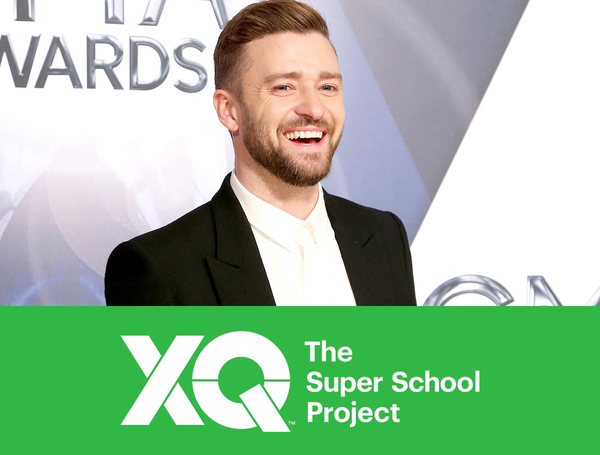 “EIF Presents: XQ Super School Live” will highlight the incredible progress of this fast-growing movement, challenge the public to build upon it, and provide viewers with insight into how to spark this transformation within their communities. Justin você é incrível!! Eu te amo pra sempre!! !